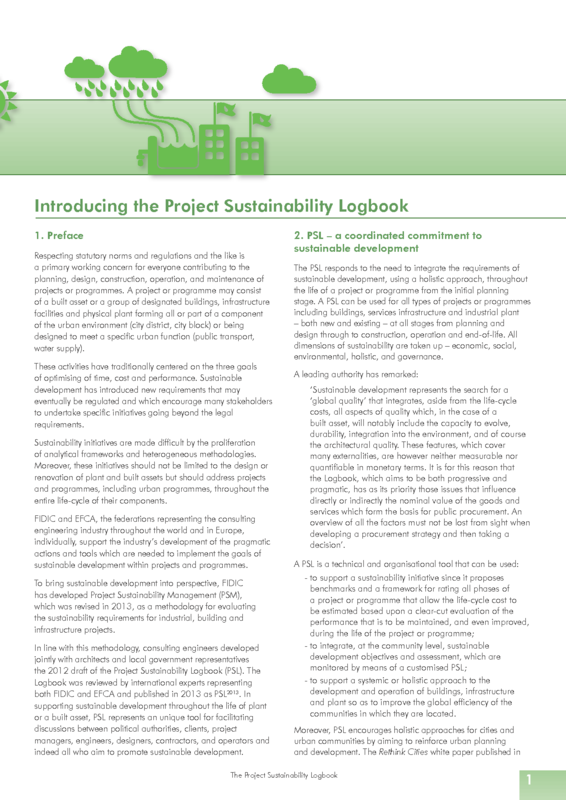 The aim behind the 2013 Project Sustainability Logbook (PSL) is to accompany a built asset or a group of designated buildings, infrastructure facilities and physical plant of a component of the urban environment (for example, a city district or a city block, respectively) or is designed to meet a specific urban function (for example, public transport or water supply). 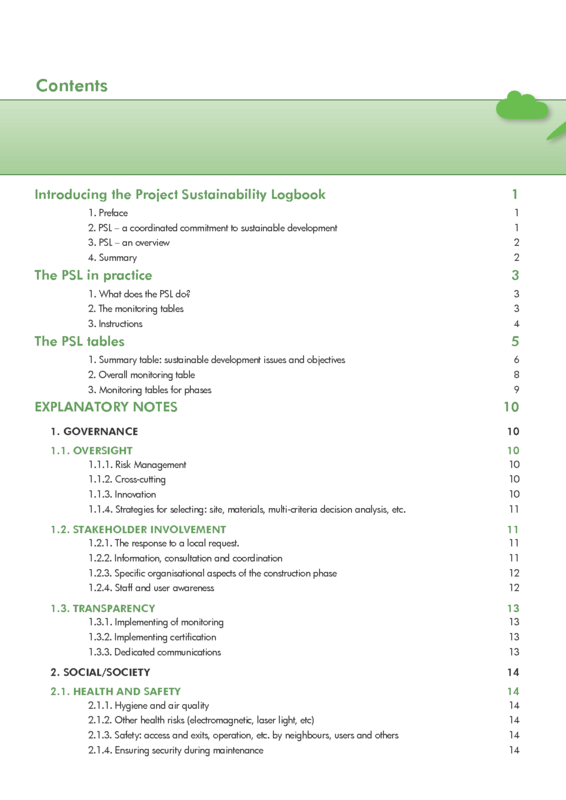 The Logbook, comprising a series of tables, offers a method of defining and monitoring the issues and objectives of sustainable development for a specific project or programme. 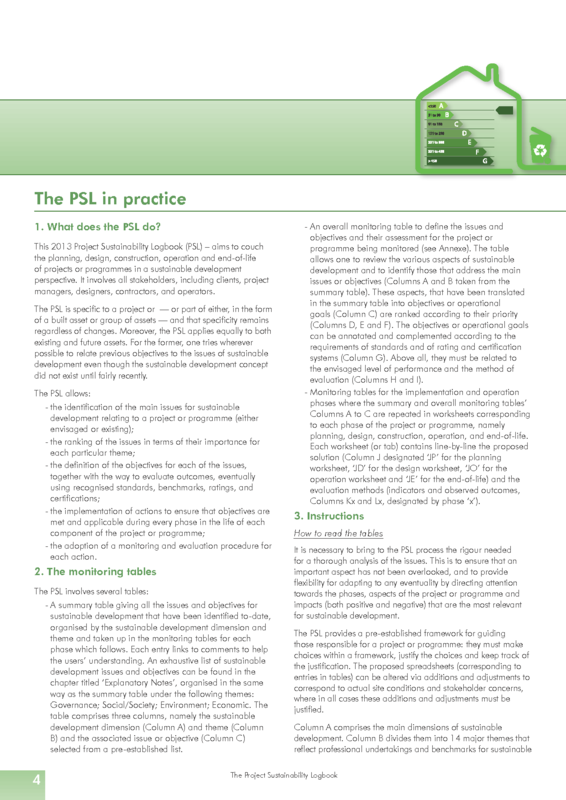 The PSL USERS' INSTRUCTIONS 2013, in PDF format, provides examples of use of monitoring tables during operational phases (planning, design, construction, operation and end-of-life): Operational response, Parameters and indicators, Outcomes. 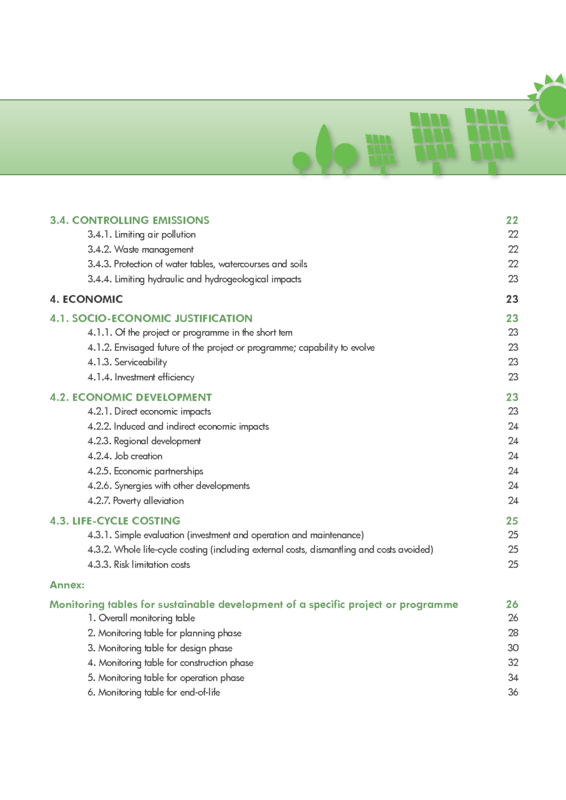 The Repertoire 2013, in PDF fromat, Provides additional information on possible reference frameworks that might be taken into consideration for the project or programme for each of the PSL issues or objectives. 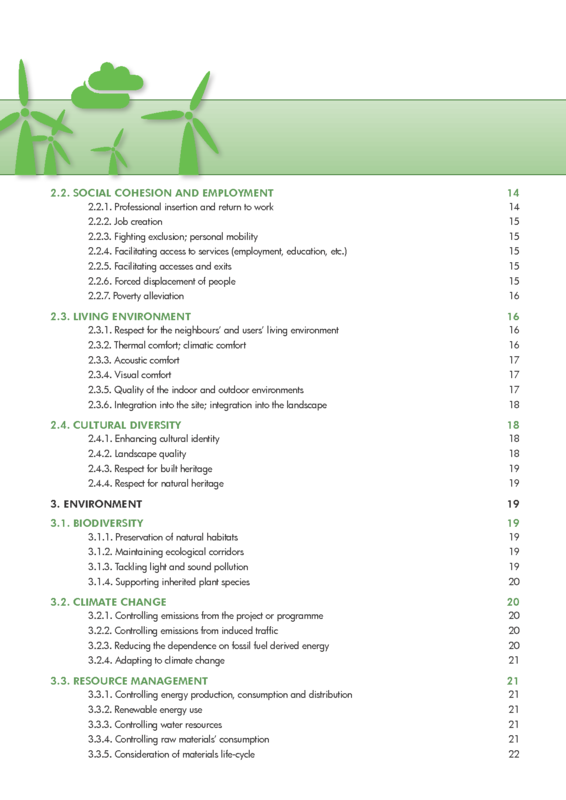 The information covers, at the international and European levels, existing legislation, standards, the main assessment/rating systems and related benchmarking tools. Supplied as an Excel workbook with a right-of-use license. 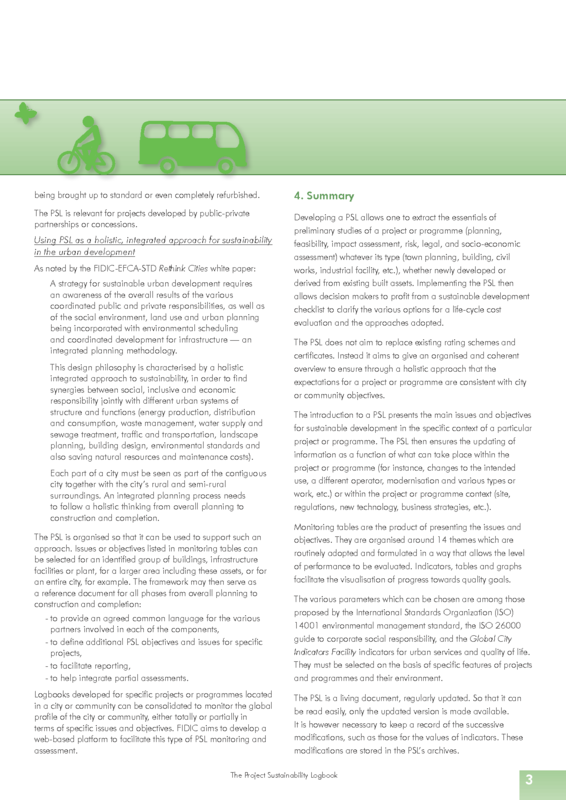 An overall monitoring worksheet and a worksheet for each of the operational phases are completed, routinely updated and archived in order to monitor the project or programme. 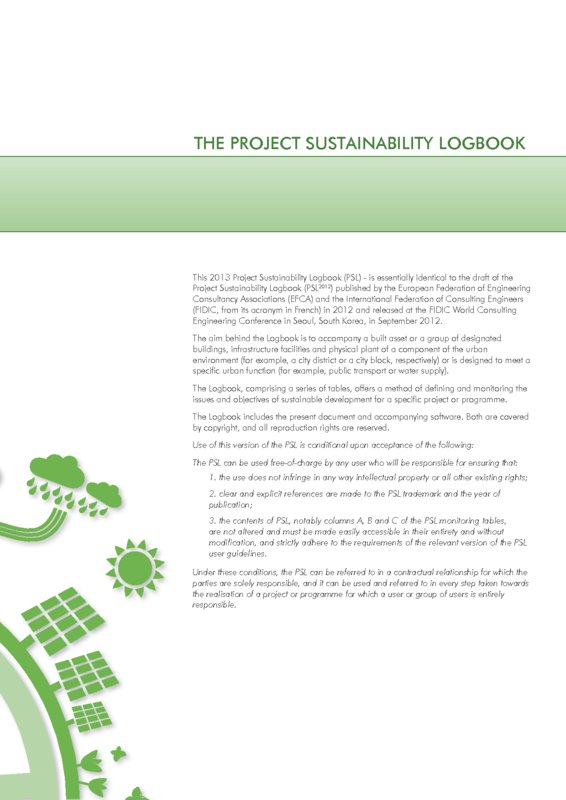 The Project Sustainability Logbook aims to accompany built assets through all stages of its life by means of benchmarks that are updated regularly. 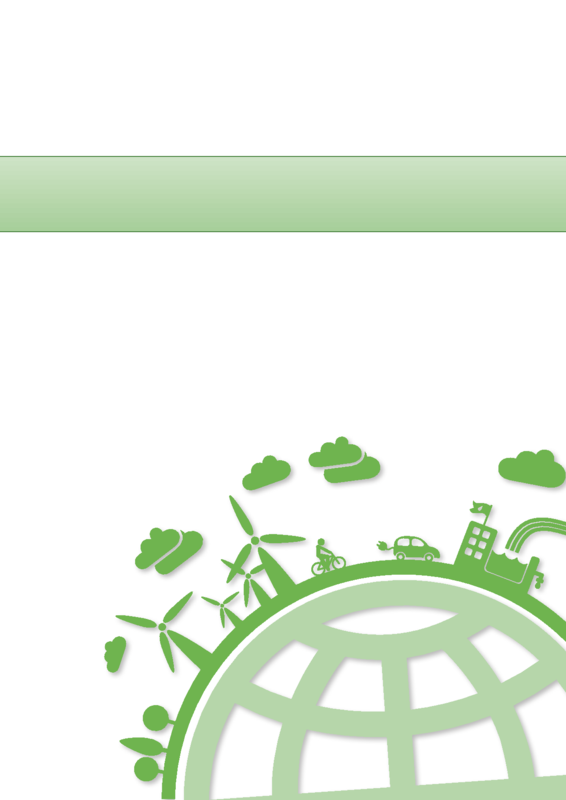 The version available is the draft version circulated at the last FIDIC World Engineering Conference which took place in Seoul last September 2012. 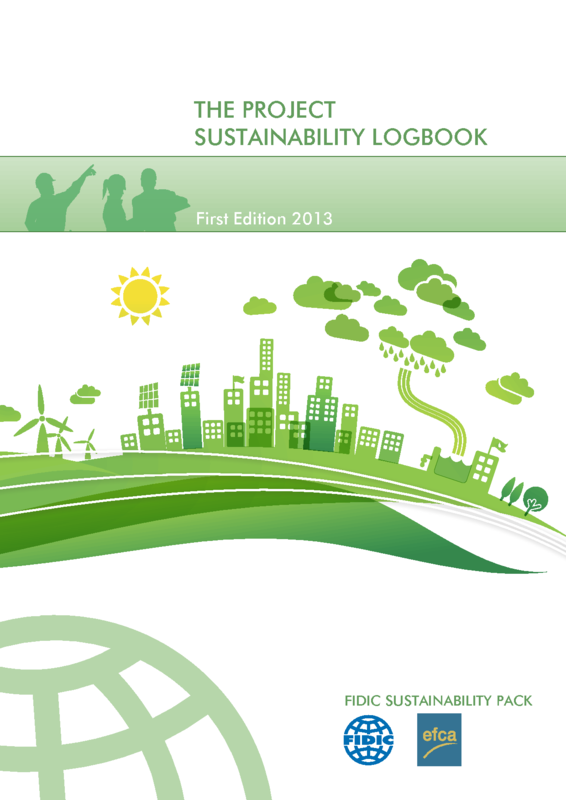 This version is for you to download for a 1 symbolic Euro so we keep track of the interested community. 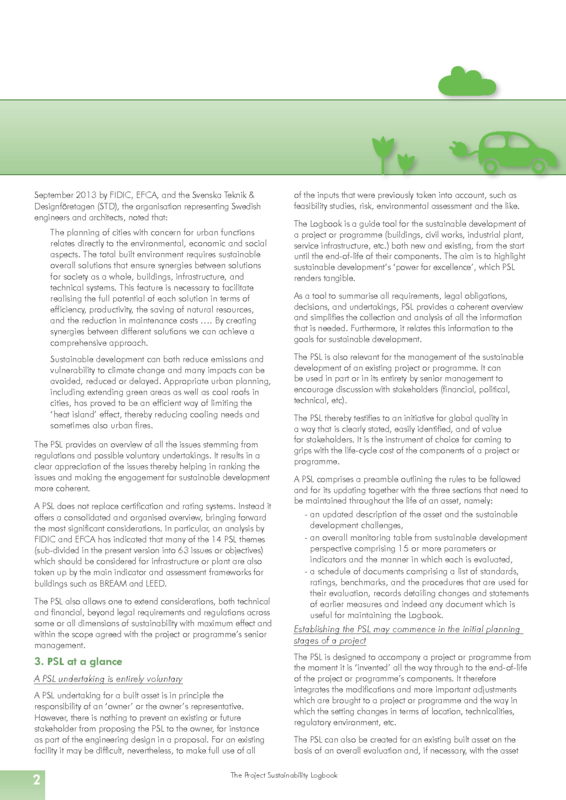 If this document is of interest for one of your project FIDIC would be happy to share a printable version with you and get your feedback. Contact the secretariat for more details using the website contact form.